Homepage / fashion / T Shirts / Clothing closet is open during school business hours from 8 a.m. to 5 p.m. Monday through Friday. Clothing closet is open during school business hours from 8 a.m. to 5 p.m. Monday through Friday. Students on the Arkansas State University-Mountain Home campus have access to free professional clothes. 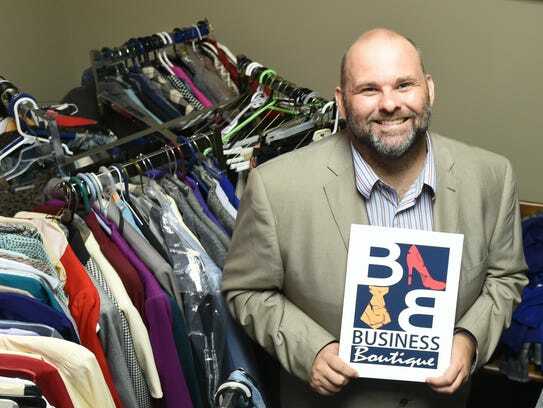 A newly-created clothing closet named the Business Boutique is giving Arkansas State University-Mountain Home students a chance to dress to impress when going to a job interview. Launched in August, the Business Boutique — which is located on the second floor of Integrity First Hall — is a free service for students on the Arkansas State University-Mountain Home (ASU-Mountain Home) campus. It is open during the school business hours from 8 a.m. to 5 p.m. Monday through Friday. The college will showcase the closet at the Integrity First Hall’s open house on Thursday. The open house will begin at 5:15 p.m.
Business instructor for ASU-Mountain Home Johnny Howard said the response from the community has been “amazing.” Different members of the community have donated professional clothes. There are dress suits, pants and ties, Khaki pants and Polo shirts available for male students — and skirts and dresses available for female students. There are shoes, belts and all kinds of accessories. Students get to keep the clothes, once they check them out. “We also have the ability if someone needs to have the clothes altered, we can send them to have them altered to fit,” Howard said. There’s a good variety of sizes. But in case the closet didn’t have the right size for a student, the school could use its resources to find a better fit. For instance, if someone wears large and couldn’t find the size, the college can make a few calls to check if there’s someone who might be able to donate. “We have other people in the community who might be able to pull from their closet and find something to donate,” Howard said. He added a great number of professional members of the area — even some who have retired and didn’t need the clothes anymore — have just been dropping by clothes that the school can use. For more information, call the dean of business and technology for ASU-Mountain Home Karen Heslep at 508-6185, or Howard at 508-6271. Heslep said there’s a need for professional attire among students. She realized when taking students to Phi Beta Lambda conferences, the collegiate division of Future Business Leaders of America, they often didn’t have professional clothes for the conference. “We also know from talking with students that they are never sure how to dress for an interview,” Heslep said. It’s been a collaborative effort. 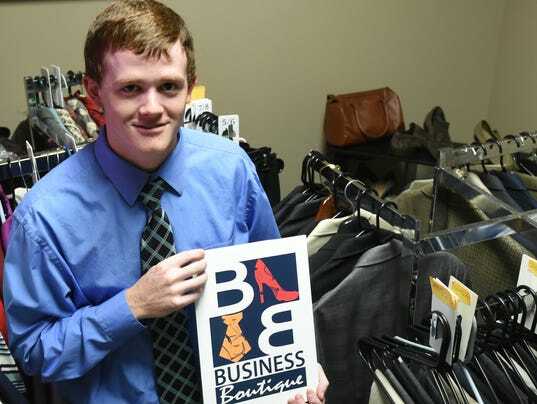 ASU-Mountain Home graphic design student Trey Smith designed a logo for the Business Boutique — and Christy Keirn, ASU-Mountain Home director of communications, shared a post on Facebook about the boutique, which, in return, generated donations. Smith, 20, said he’d like the logo to be well-known around town or at least throughout the college. “I feel honored that they picked my logo,” Smith said.